Exclusive! With an acid-washed finish, flowing silhouette and pretty princess seaming, this flattering frock is sure to become a closet favourite! 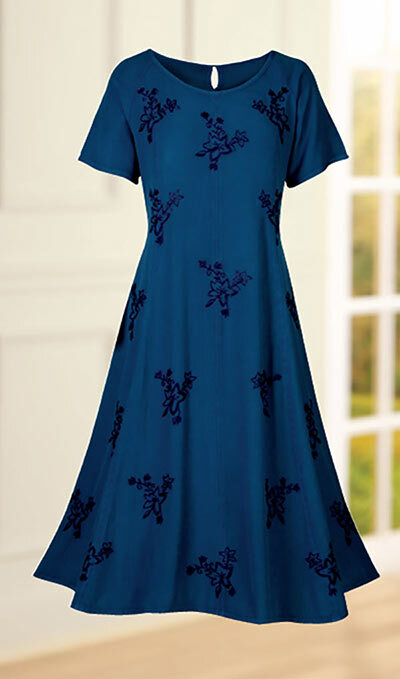 A soft scooped neckline and floral and scroll embroidery on the front add feminine details. Woven rayon. Machine wash. Imported. Misses, approx. 50"l.